"In terms of a goalscorer, he's the greatest we’ve seen in the Premier League." Sergio Aguero scored a hat-trick against Chelsea in Manchester City's 6-0 win on Super Sunday. 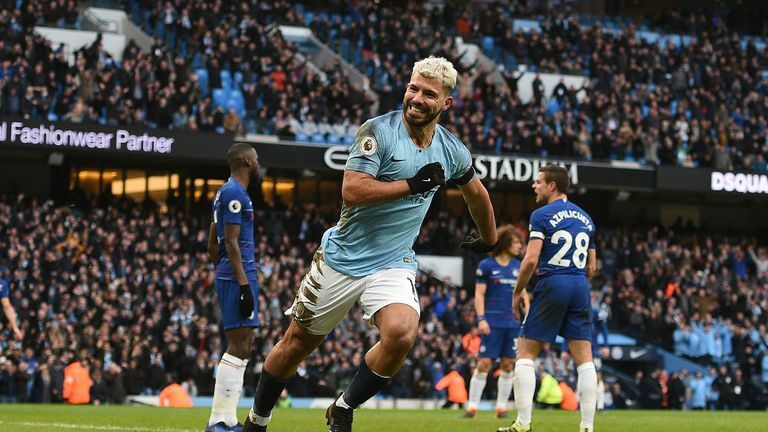 Jamie Carragher believes Sergio Aguero is the greatest goalscorer the Premier League has ever seen after his hat-trick against Chelsea on Super Sunday. Aguero's second hat-trick in a week, following his three goals against Arsenal, saw the Argentina international equal Alan Shearer's record of 11 trebles in the Premier League during City's 6-0 win over Chelsea. Aguero's prolific stint has raised questions over whether he is the Premier League's best ever striker. Carragher says he is the greatest goalscorer the league has witnessed, albeit not necessarily the league's best overall player. "He's just clever. He's switched on, he's alive," he told Sky Sports. "I've played against him and at times he can be quiet in a game, but before you know it something just happens. In terms of a goalscorer, he's the greatest we've seen in the Premier League. "That's the difference between him and the other greats, he's a goalscorer rather than the greatest all-round player." Graeme Souness feels the competition created for places by Pep Guardiola has forced Aguero to take his game to the next level and the threat of Gabriel Jesus taking his role has pushed him on. 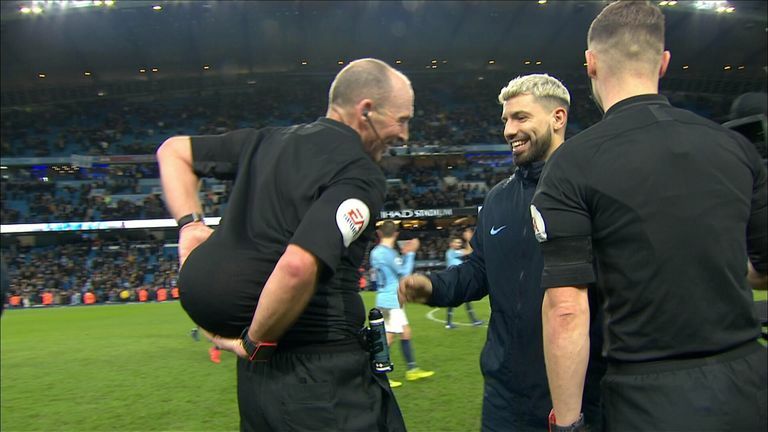 Referee Mike Dean teased hat-trick hero Sergio Aguero by hiding the match ball up his shirt at full-time after Manchester City’s 6-0 drubbing of Chelsea. He added: "He does work a lot harder now than he ever did. The manager has lit the fire under him. "He was always a fabulous player. He didn't want to take part in getting the ball back and defend for the team, but now he's pressing collectively. Guardiola got Jesus in and played him for a bit in front of him and he's lit the fire under Aguero. "This is where City are right now with all the players they've got. The manager repeats himself and in the end the players stop listening. "The pressure is for places and you want to play every week. "How could you be in a position where Aguero is possibly thinking he'd not be playing every weekend. If he's thinking like that then everyone else is thinking like that."